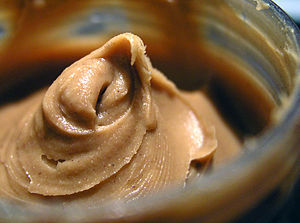 Very important issue spreading now about a recent recall on more than 240 food products containing peanut butter. Sunland Inc., a manufacturing company in New Mexico is the culprit behind this recent health scare. Fox News reported stating that the Food and Drug Administration said Salmonella bacteria has been found in samples taken from the company’s production plant. Sunland has recalled 240 products since the problem arose earlier this year in September. The recall includes all products made at Sunland’s product plant since March 1, 2010, the FDA said. for a remarkable post and a all round enjoyable blog (I also love the theme/design), I don’t have time to read it all at the moment but I have book-marked it and also added your RSS feeds, so when I have time I will be back to read a lot more, Please do keep up the great job. (I love your name btw..) Thank you for visiting my site, I like to keep readers informed of information such as this. And I do apologize for my late response, your comment is very much appreciated! of your community pages like your twitter feed, Facebook page or linkedin profile? I am sorry for my late response to your comment – thank you for taking the time to comment, I know I am similar in the fact that I don’t comment on others works as much as I should. As far as the comments coming from “dead people” I will say this – I try to weed out the spam as much as possible, but sometimes I do give people the benefit of the doubt. I actually thought your comment was a spam comment because generally anyone who uses a keyword in place of their name is just looking for traffic. But that’s okay, I felt your comment was more than just that and that is also why I am taking the time to respond. I love reading what people have to say about my work – it helps me to improve my writing and overall blog.